Banda Aceh, Indonesia - On the morning of December 26, 2004 a magnitude 9.3 earthquake struck off the Northwest coast of the Indonesian island of Sumatra. 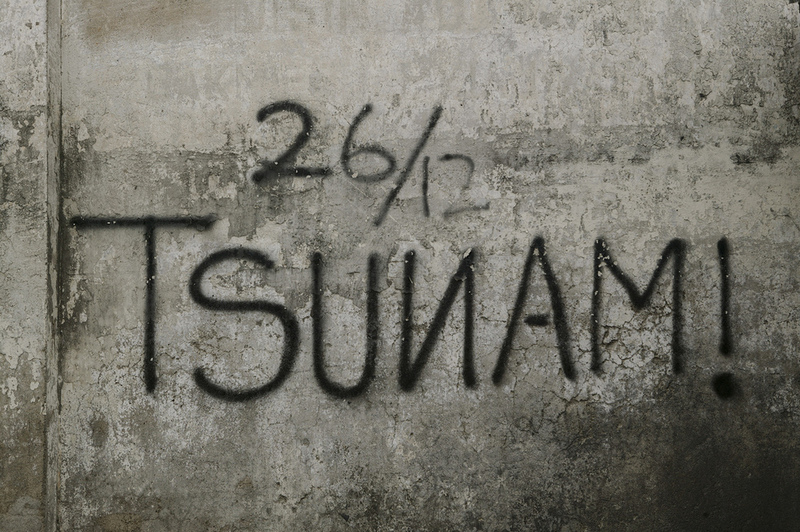 The earthquake was followed with a devastating tsunami that killed approximately 230,000 people in 13 Indian Ocean countries, including Indonesia, Thailand, Sri Lanka and India. 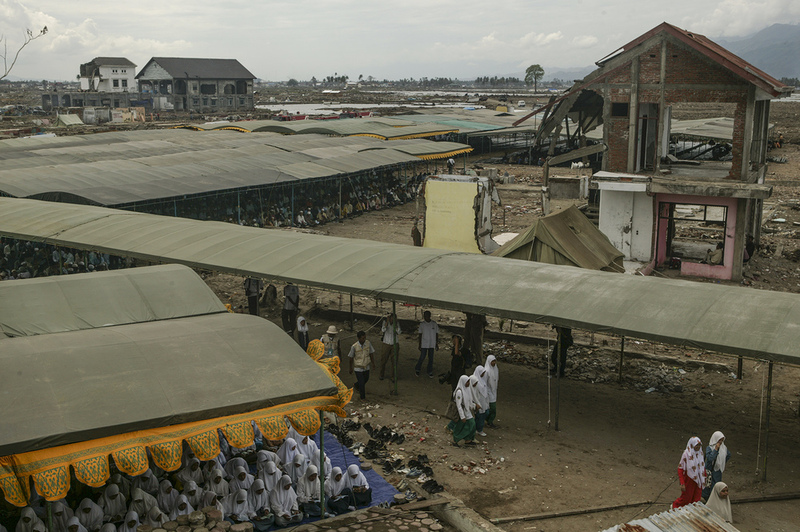 The worst hit was the Indonesian city of Banda Aceh where the following images were made during the days following the earthquake and again, three months later during a second trip. 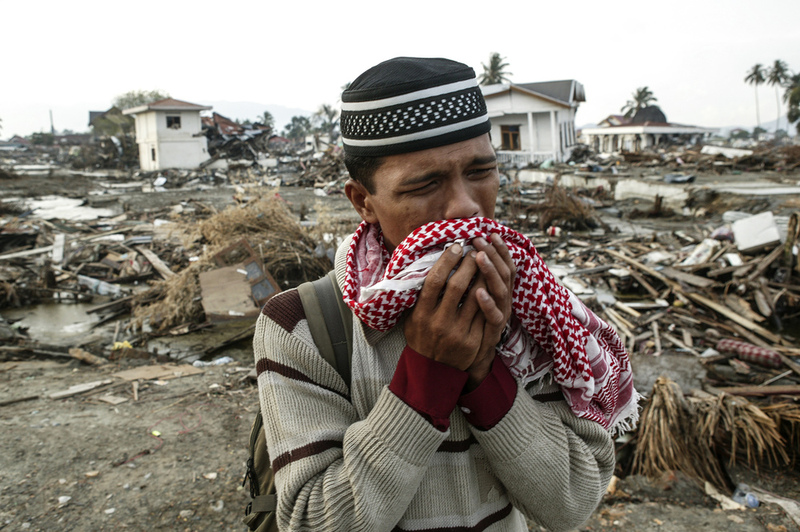 160,000 lost their lives in Banda Aceh and more than 60% of the city's buildings were destroyed. A family of three- victims of the tsunami. 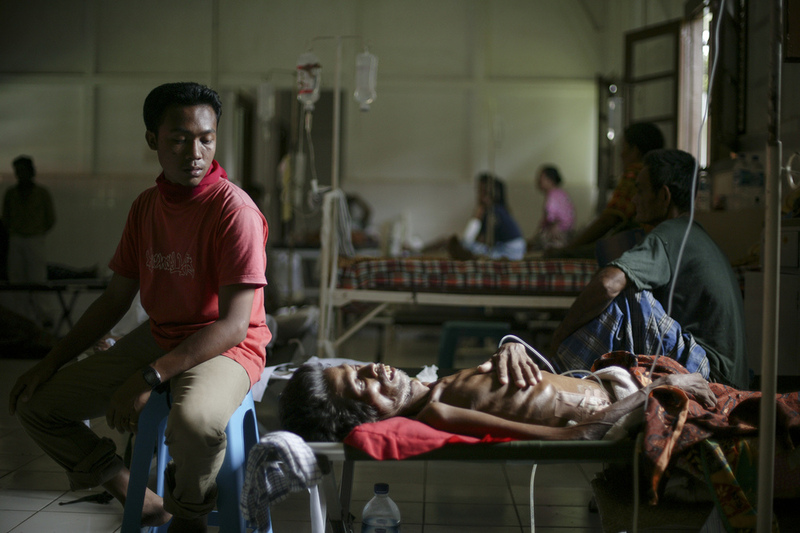 Hospitals were filled with wounded locals who fled to the hills during the tsunami and returned with severe infections. This young man lost an ear due to injuries he suffered during the tsunami. Sisters comfort each other at a hospital. 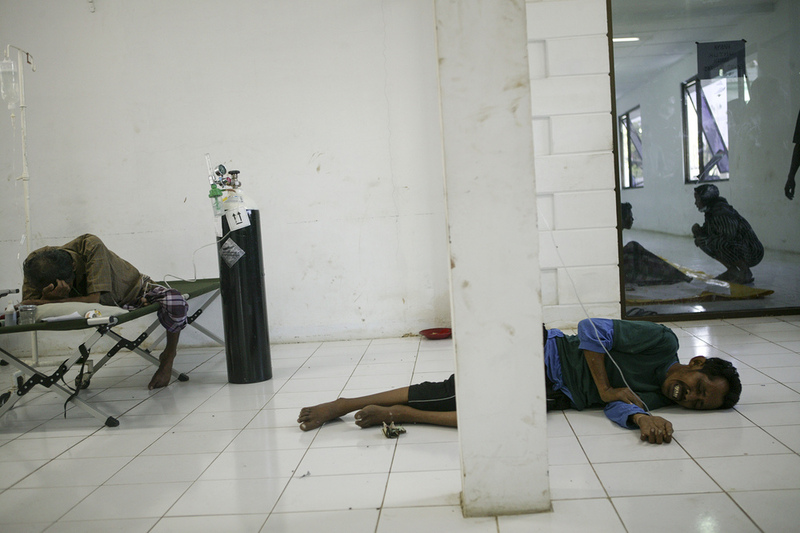 Injured survivors wait for medical attention at the emergency room of a hospital in Banda Aceh. A man sits at his injured father's side at a hospital. An injured woman comforted by her sister at a hospital. 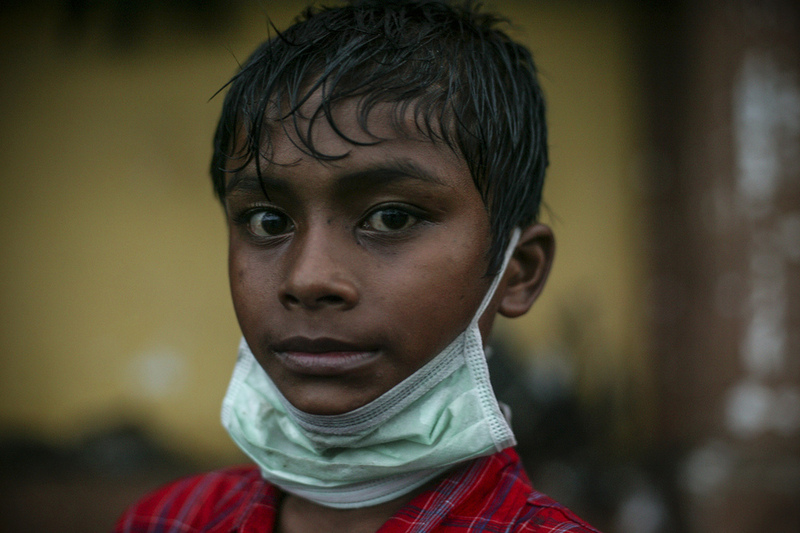 A young boy salvages found items in the muddy and debris filled streets of Banda Aceh. Waiting in line for water. 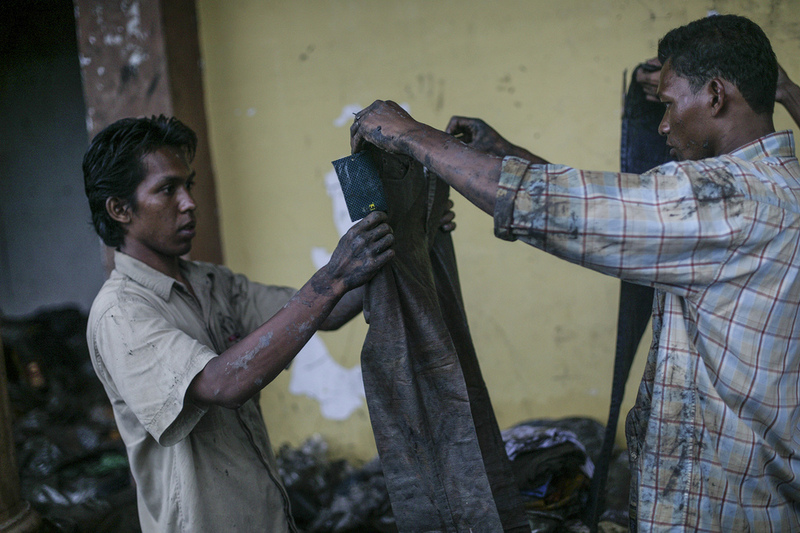 Locals salvage items found in the rubble of mud and debris in a shopping district of Banda Aceh. A man after burying a woman and a baby. A man near what used to be his home salvaging what he can. 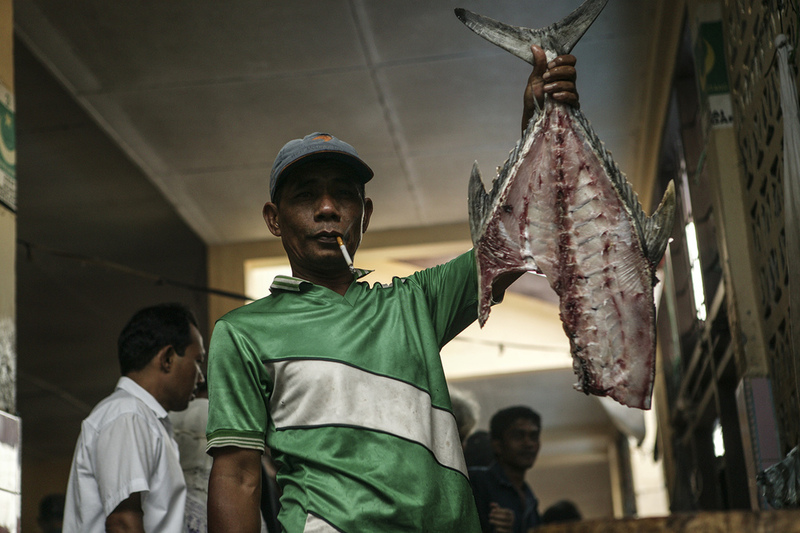 Residents of Banda Aceh ride through their town. “Owner of this house still alive,” reads a message written on the side of a house. 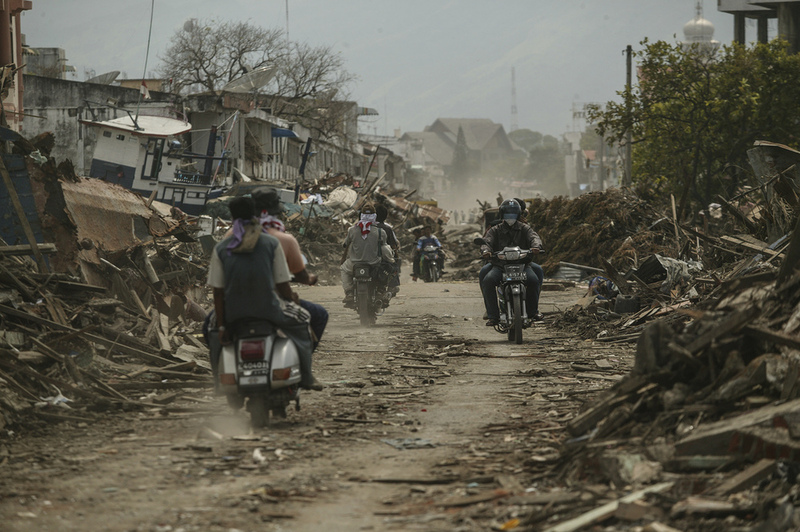 A devastated neighborhood of Banda Aceh. Three months later the city still remained in ruins. A massive undertaking of clearing debris and rubble had just begun. 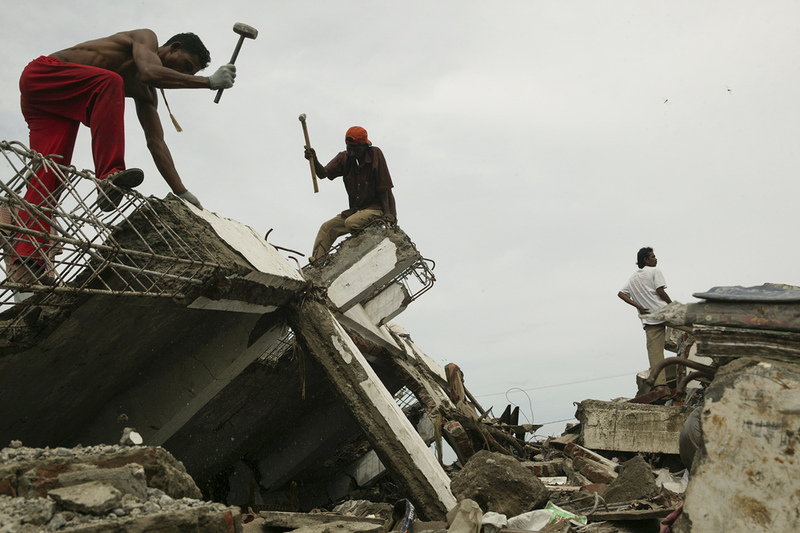 Locals of a fishing community work together to rebuild their homes. Exhausted, a man takes a moment of rest as he rebuilds his home. 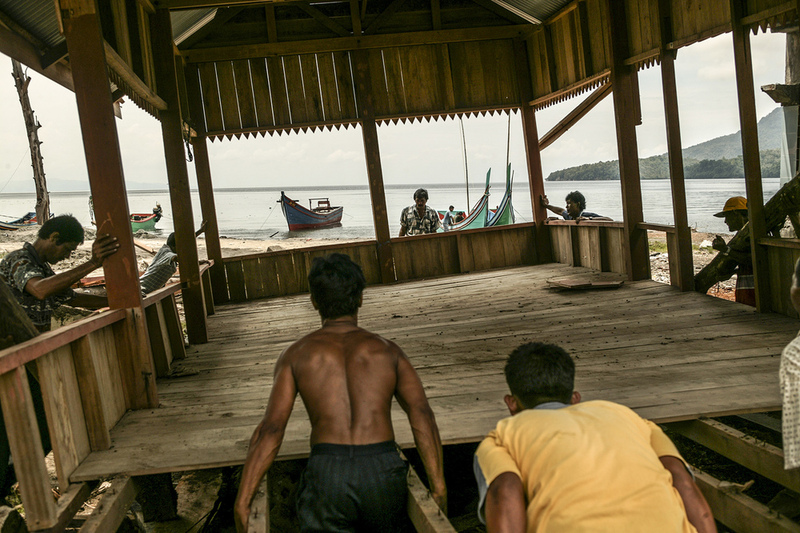 Locals of a fishing community repair their boats. Very little remained standing in the path of the Tsunami. Survivors still living in tents used for temporary shelters. A man washes at dusk - at a camp for survivors. 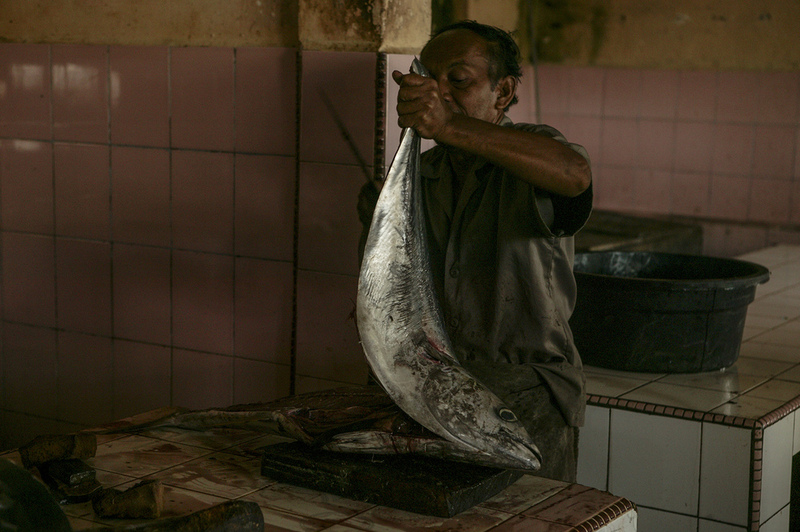 A fish market on Sabang Island off the coast of Banda Aceh. A prayer ceremony for the victims on the 100th day following the December tsunami. On the 100th day following the December tsunami, a woman returns to where her brother's home once stood.